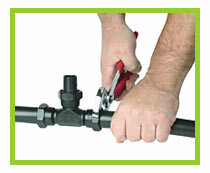 Cut the pipe with pipe cutters, a knife or saw. 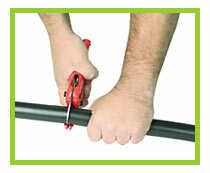 Ensure a square cut of pipe ends. Clean burs off pipe. When making a repair in a burst pipe make sure the length of the cut away matches the length of the replacement fitting between the screwed on nuts. Wind the nut onto the pipe a few turns. 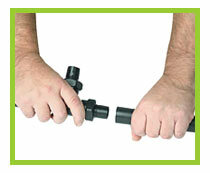 Tighten with spanner or pipe grips.